1) Commemorate the occasion with Christmas decor. Newlyweds don't often have an accumulated supply of holiday decorations. 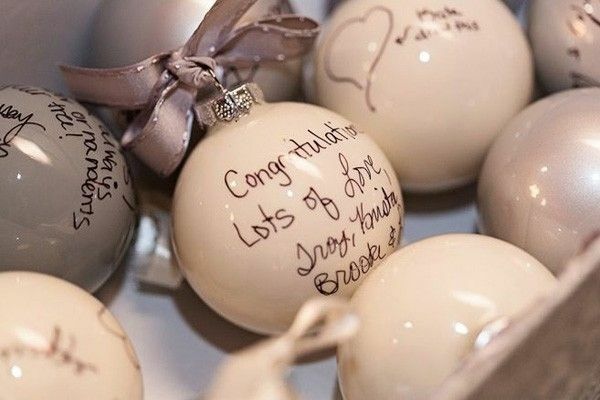 A great way to remember your guests and revisit your special day is to prompt them to sign bulbs that can be used to decorate your Christmas tree year after year. Not only will you have a special tree covered in personal messages from your favourite family and friends, but it will encourage you to remember your special day every holiday season as you read your notes together under the tree. 2) Fill the branches of your wedding tree. 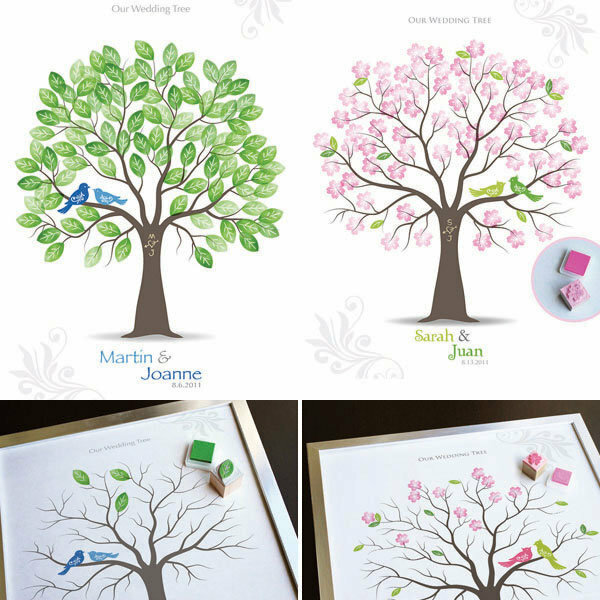 Create an image of a tree stump and encourage each guest to "leaf" their stamp on your wedding tree (you can even ask them to sign their names on their leaves). As a special touch, you can add a quote to the graphic, such as "Love begins in a moment, grows over time, and lasts for eternity". The finished masterpiece can be framed and hung on your wall to keep the memories alive throughout the years. 3) Watch your love bloom with a guest-signed vase. 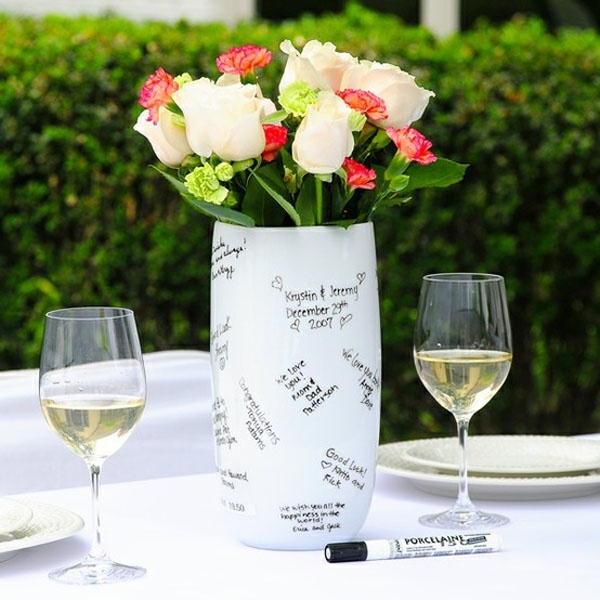 Display a vase or flower pot on your wedding day and ask your guests to sign a special note on its surface. Your note-covered vase or flower pot can be on display in your home, adding a personal touch to your everyday decor. 4) Capture the memories on camera. 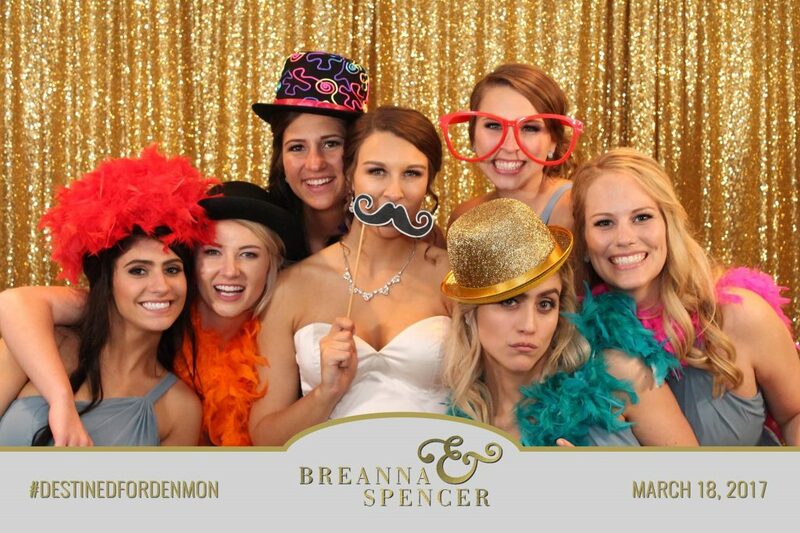 Renting a photo booth for your big day will add some fun to the occasion, but it's also a great way to remember your guests once the party is over! With a TapSnap photo booth, your guests can leave personal messages right on their photos with the tap of a finger. 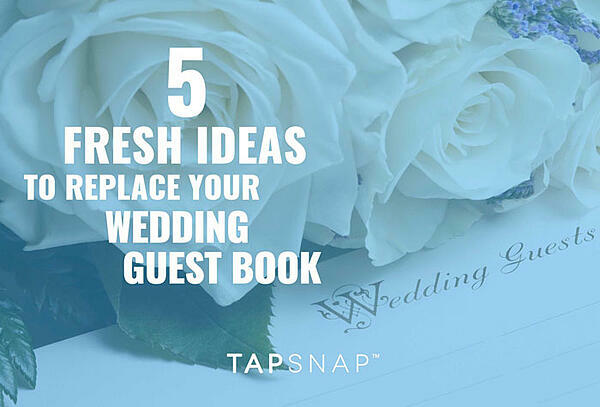 They can then share their photos via email and social media, and print copies - one to keep, and one to add to your guest book! A great way to remember those who attended your big day. 5) The gift that keeps on giving. 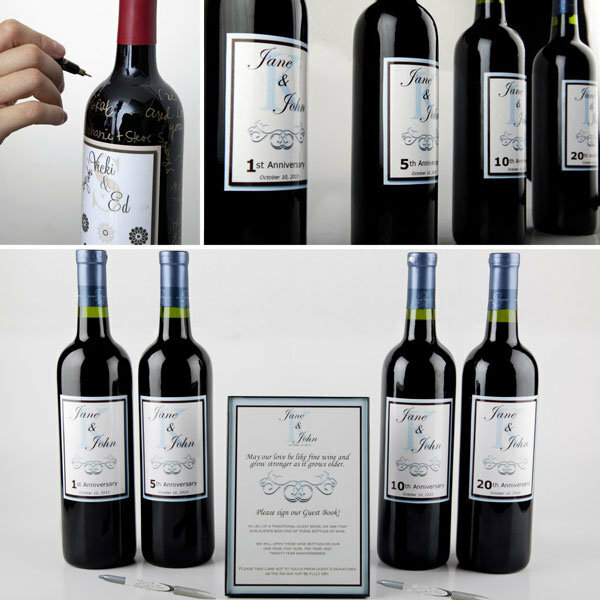 Lay out 4 bottles of your favourite wine and ask guests to sign each one. Your drinkable keepsakes can be stored away, and shared together on your 1st, 5th, 10th, and 20th wedding anniversaries! Like your love, the wine will only grow better as the years go by. Bonus: You can use the empty bottles as decor.